This Genealogy Software Program Continues to Impress! One of the very first software programs that I put on my first computer (back in early 1998) was Family Tree Maker. 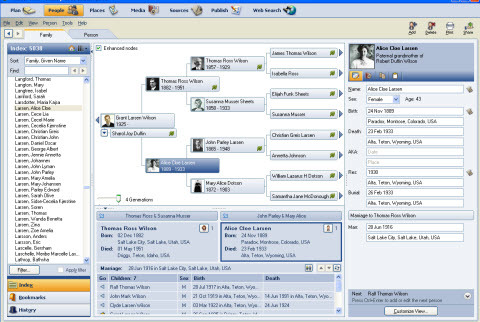 It has always been a very user friendly tool to gather, organize, network and compile one's genealogical information. New for 2010 is their newest version and it is loaded with many new (and cool!) features. Created by Ancestry.com, this new version builds upon it's previous successes, but it has given it a sleek new design as well. 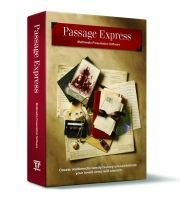 - If you've used genealogy software before then you know that this item is no small matter. When dealing with large data files, such as these programs create, this is important. Reviewers reported not only large improvements over the 2009 version, it was also reponded much better in overall navigation and mouse clicks. 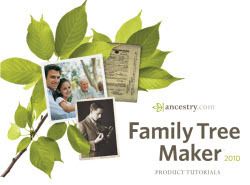 - If you started a family tree at the Ancestry.com Web site you can now important that into your copy of Family Tree Maker. You'll be able to important not only all of your data, but also all of the pictures that you had uploaded. - This is much improved over previous versions. Besides being highly customizable, here you have links to important genealogy information, Family Tree Maker and Ancestry Twitter feeds and more. - Scan directly into Family Tree Maker. 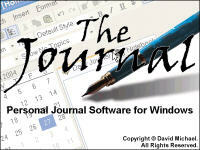 There were scanning capabilities in previous versions, but this year's entry makes the job must easier. 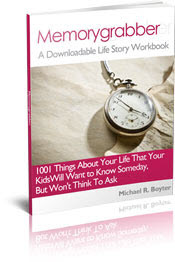 - You enjoy increased information about your file, including the average life span of all individuals listed in your files. That is an interesting number to see. - An upgrade and changes had been long ovedue in the family group sheet area, and Family Tree Maker addressed it this year. You can now add a family pictures and pictures of individuals to the group sheet. Changes were also made to make the form look a little more like the standard offline form. Many users had been asking for that. Selecting which pictures to use is done via a easy to use drop down menu. Improvements to Book-Building Feature - In 2009 the ability to create a book (using your information) online or on your computer. This was a very welcomed feature last year. This year tweaks were made to allow one change the page order simply by dragging and dropping. - This is new feature is one of my favorites. 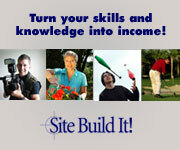 Click on a location on a map and FTM will log that location's longitude and latitude. Use it to mark your own location or to mark important locations of old homesteads or cemetaries that may be off the beaten path. - Create maps that allow you to show locations based upon the life events of your ancestors lives. 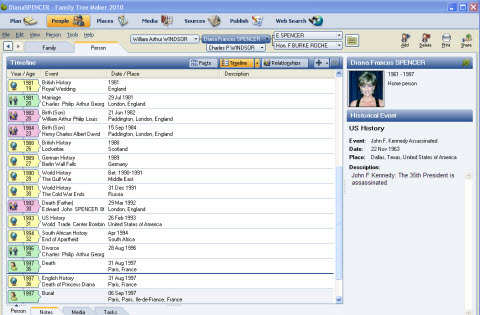 This tool can be customized to include multiple individuals and/or places. Hover your cursor over immigration pathways and Family Tree Maker will, by way of a pop up window, tell you the name, location and event associated with that spot on the map.